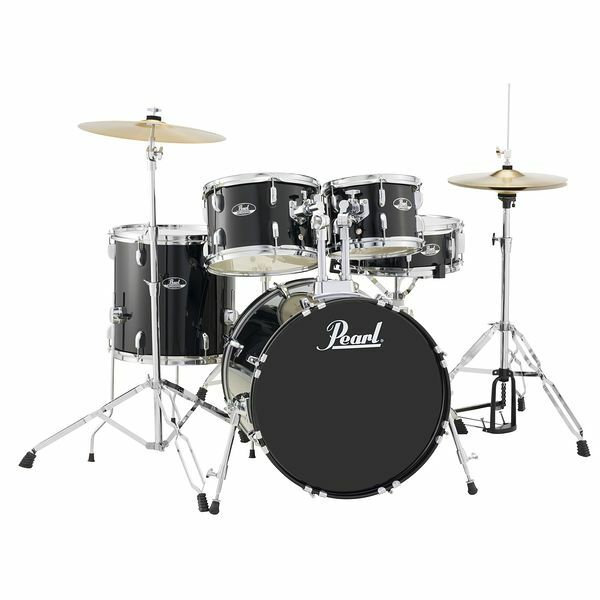 The Pearl ROADSHOW RS505C 20-inch 5-piece Drum Set in Jet Black Finish is a versatile and very durable kit with great projection for playing small and large venues. 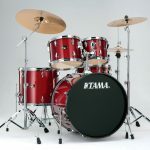 The Roadshow kit is also great for beginning drummers, as it comes complete with hardware, cymbals and sticks. The attractive low price does not diminish the quality we have learned to expect from Pearl. 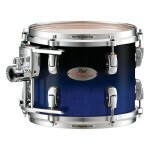 The shells are made of 9-ply poplar and the hardware is double braced and sturdy. The kick pedal’s double-chain drive action and adjust ability is designed after Pearl’s award-winning Eliminator pro pedal line. Two pairs of sticks and stick bag included. 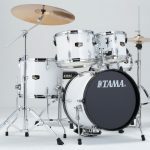 Sizes: 20″x 16″” bass drum, 10″x 7″ tom, 12″ x 8″ tom, 14″x 14″ floor tom, 14″x 5″ matching snare drum, 16″ Brass Crash-ride, 14″ Hybrid Hi-hats. 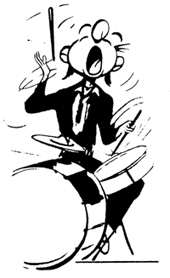 Hardware: Docking Cymbal Boom Arm, Hi-hat Stand, Snare Stand, Kick Pedal, Throne. Free Shipping on this item within Continental USA while supplies last!